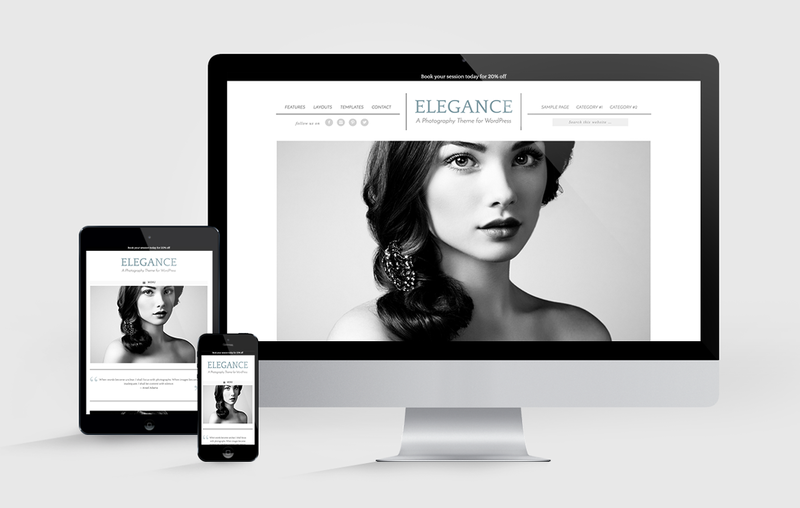 Elegance // A simply elegant WordPress Genesis Theme for Photographers and is full of ways for you to customize your website! Featuring large images, few distractions, beautifully mobile responsive and styled for WooCommerce! 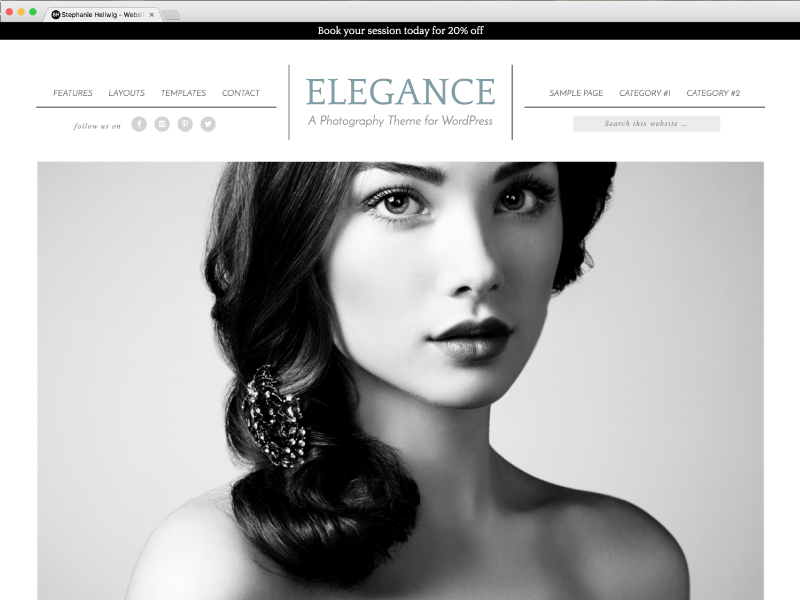 Elegance // A simply elegant WordPress Genesis Theme for Photographers. Featuring large images and few distractions. Now styled for WooCommerce so you can seamlessly add a shop! Styled for WooCommerce! Easily add a shop to your site. Easily update the site credits right in the WordPress customizer! Our Plugin installer saves you lots of time!